Hashes are very interesting and deep topic… If you are into math or programming. Otherwise here are few down to earth rules that work with hashes and how can you benefit from them. Hash is bunch of letters and numbers that can be calculated for any file. Files with different hashes are different. Files with equal hashes are most probably equal. This creates opportunities for some easy but useful tricks. Pretty often file downloads in Internet are accompanied by hash values (they look like someone slept on keyboard). 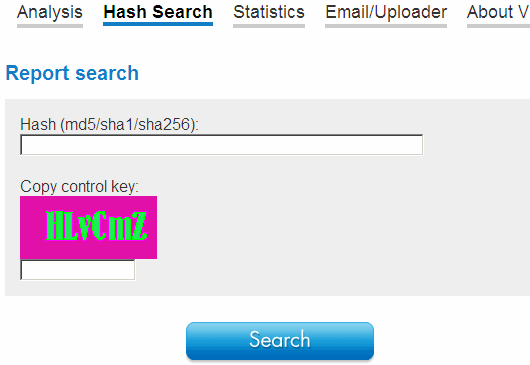 If you calculate hash of file downloaded and compare to hash provided on site – you can be sure it is not corrupted. VirusTotal (online service that checks files with multiply antiviruses) allows to submit file’s hash. If that file was checked already and result is in the system – you get it without need to upload file. Dropbox (file storage and synchronizing service) uses a lot of hashing behind the curtains. For example if you try to put huge but common file in your Dropbox (large patch or whatever) its hash is calculated. If file is already present on servers it is linked to your account. Without wasting time and bandwidth. Easy! I use simple program called Hash. You simply drop one (or several) file into it and it calculates MD5, SHA1 and CRC32 (most common ones) for them. It is tiny, freeware and portable. No problem. Thanks for visiting and commenting. As always I am glad to be of use. :) Hashes are very interesting and widely used concept. do you have also a possibility to use these hashes to get the file which it was generated from into the dropbox without really having the file, but only the hash? and which hashing algorith does dropbox use? Nope, there is no mechanism to operate hashes instead of files in Dropbox. I don’t think I saw any public information on what specific hash mechanism they use.